Chilly November evenings have us craving for food that warms us up instantly. 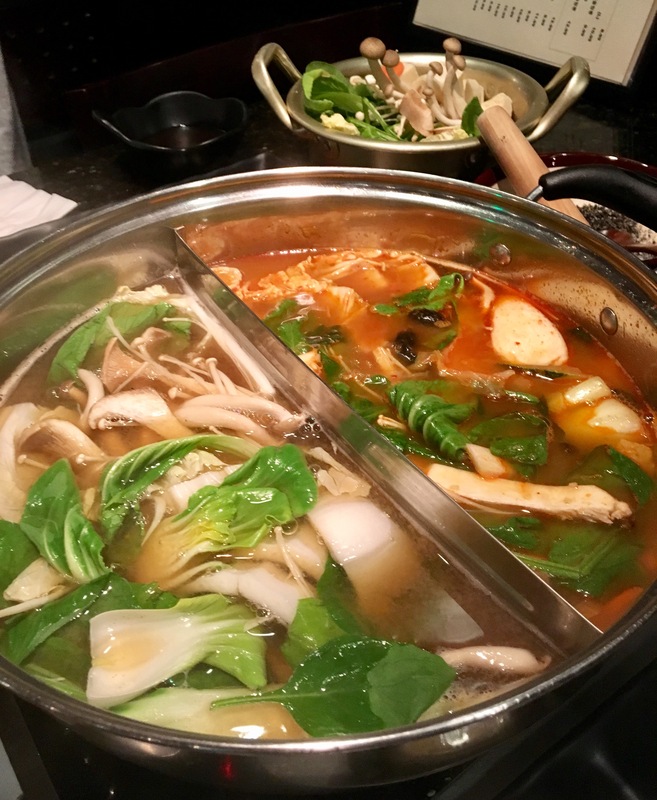 This month, we checked out Wara Bistro (13788 Roswell Ave., Suite 188, Chino, CA), a Korean and Chinese hot pot restaurant with a sports bar feel. 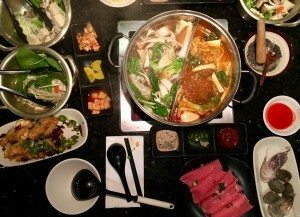 Hot pot is served in a metal pot at the middle of a table. Once the flavored stock is boiling, diners add fresh ingredients, such as vegetables, thinly sliced meats, seafood, and noodles, into the pot. The cooked ingredients are then dipped in a variety of sauces of your choice. Simple and delicious! The owners’ Chinese, Korean, and American backgrounds are evident in the cuisine. We ordered calamari and the “Double Hot Pot,” which had a spicy seafood broth and a non-spicy bulgogi broth. Just in case you aren’t full from the hot pot, the menu also has traditional Chinese and Korean rice and noodle dishes. BVO Tip: Cook the noodles in the broth toward the end of your meal. The broth will contain more flavor then, which will make your soup noodles more tasty!